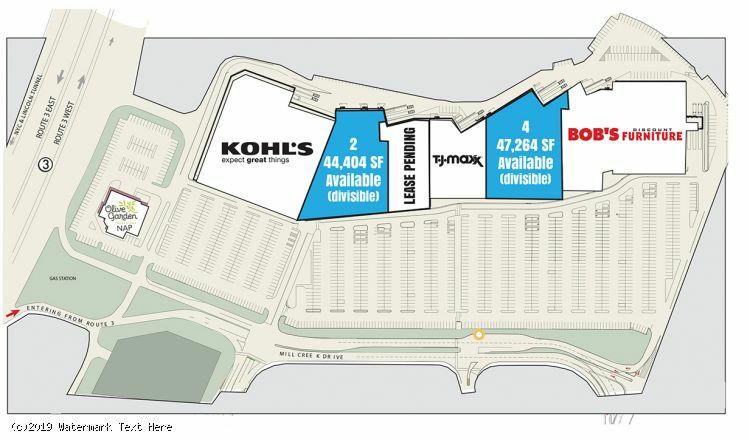 - A 306,120± square-foot dominant power center located in Harmon Meadow, a regional shopping and entertainment destination, with 274,270 people within 3 miles of the center and an impressive daytime population of 108,444. 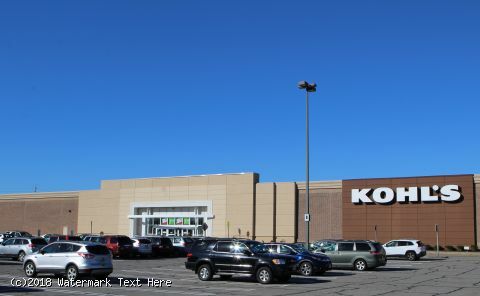 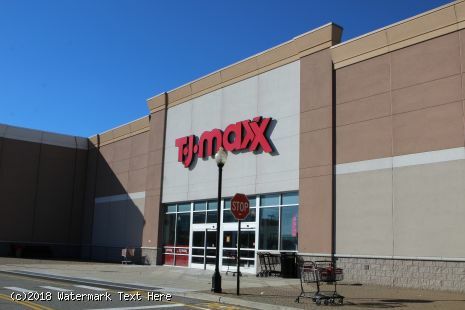 - This multi-anchored power center includes Kohl's, T.J. Maxx and Bob's Discount Furniture. 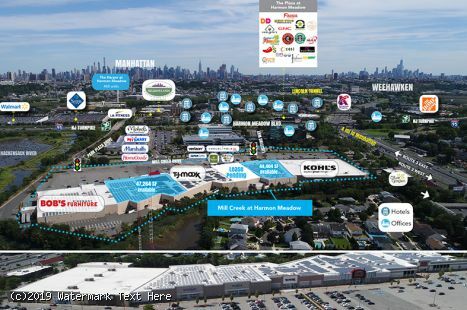 - The property is located within Harmon Meadow, an iconic 200-acre master-planned, mixed-use development, four miles from Manhattan, situated at the crossroads of the NJ Turnpike (110,016 vehicles per day) and Route 3 (117,914 vehicles per day). 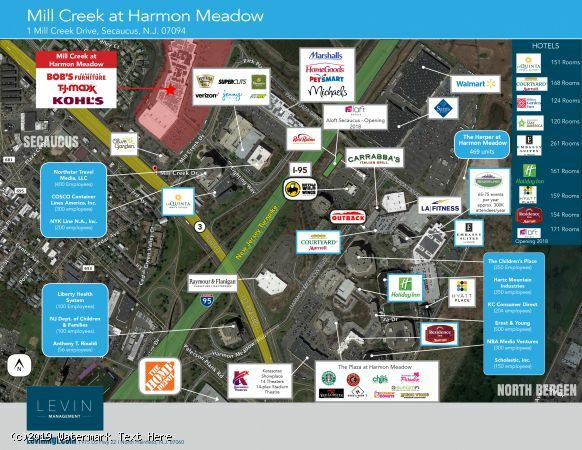 - This center benefits being within the Harmon Meadow development with mass transportation, a significant daytime office population, 469 multi-family units for housing, nine hotels, an on-site convention center, a movie theater, as well as many restaurants and shopping options. 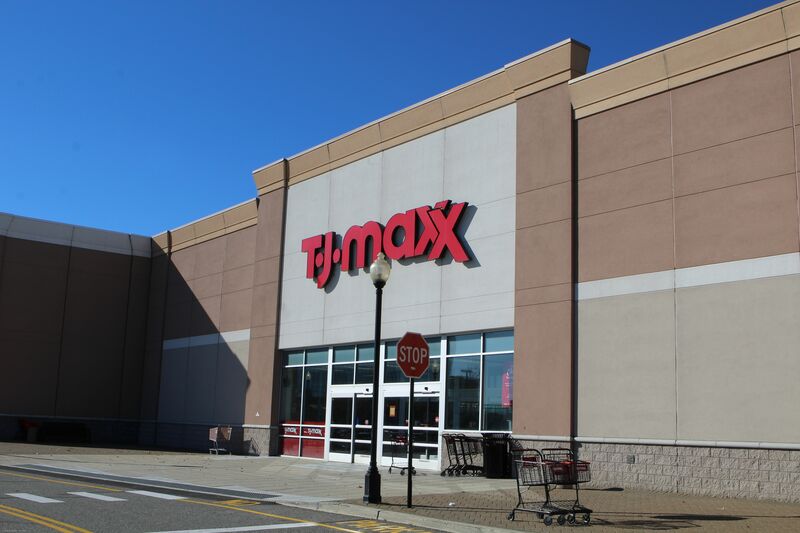 - The center offers no sales tax on clothing and shoes and is open seven days a week unlike nearby Bergen County.